'It's Only Rock And Roll' Banner and Last Minute iPod Production Problems? 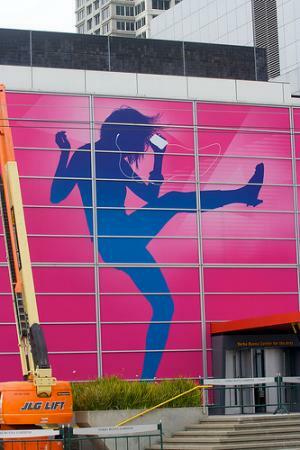 iPhone Savior points to this photo of the Yerba Buena Center for the Arts that Apple has decorated in anticipation of the "It's Only Rock and Roll" media event. The lead up to the event has generated some speculation about what Apple might be announcing. Apple is, of course, expected to update the majority of their iPod line as they have done for the past several years during their September media events. According to one of our reliable source (however, it remains a rumor), Apple is facing problems with the production of the new iPod Touch. The issue would be linked to the new camera module. We did not get any further details, but the problem has been spotted in the first dozen of thousands units produced. Those units have been put aside. If true, given the scheduled media event, it seems that this might just delay production rather than the product's introduction on Wednesday.